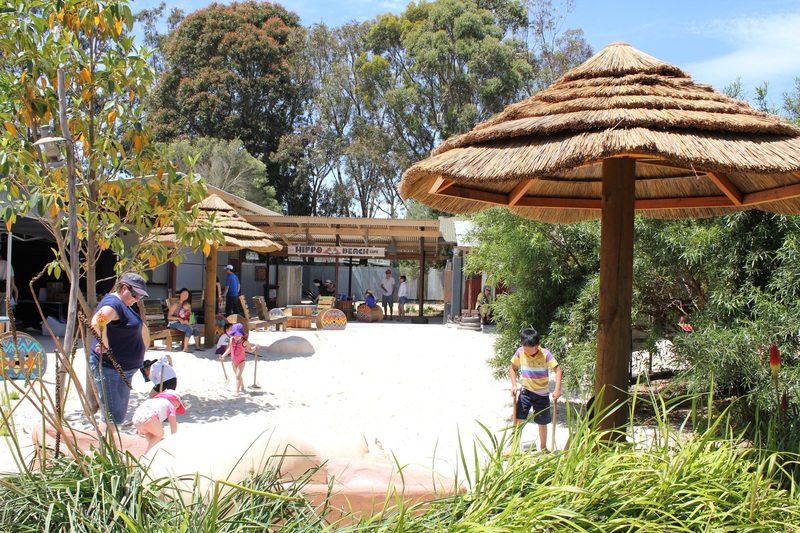 When we heard that the Werribee Open Range Zoo had opened an exciting new area for kids called Hippo Beach we knew we would definitely be visiting this summer! 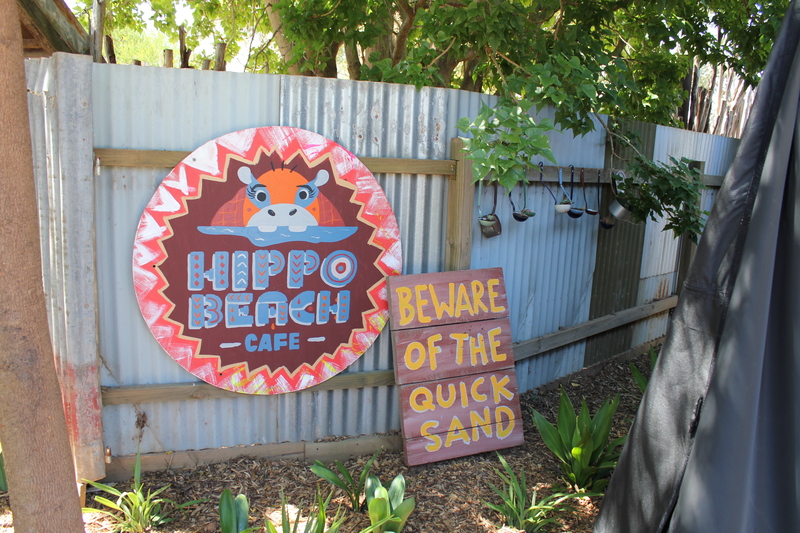 Hippo Beach is right next to the hippopotamus’ exhibit and is the perfect place to relax, grab an ice-cream from the Hippo Beach Café and feel the sand between your toes! 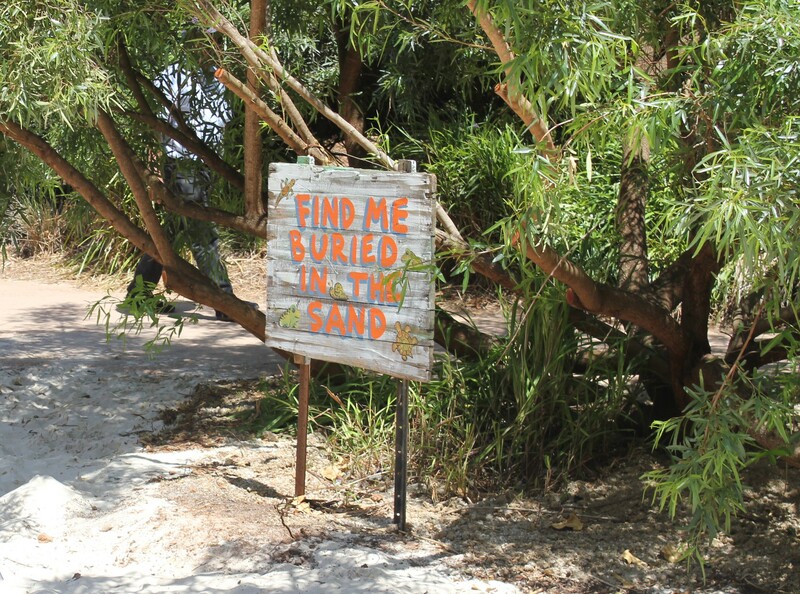 The beach area has deck chairs, hammocks and thatched umbrellas (under which treasure is buried that the kids can dig up – look out for the sign that will let you know what to look for!). Dig in the sand for treasure! 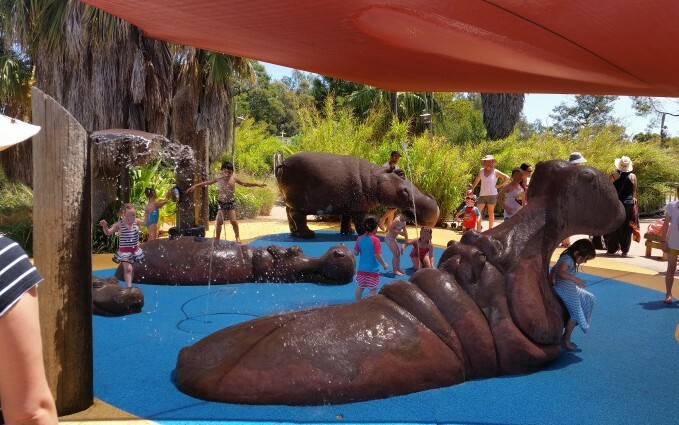 The day we went it was over 30C and the children LOVED cooling of at the Hippo splash and play water area next door to Hippo Beach – there were so many excited squeals! We had bought Alegría’s bathers with us; however, our poor second child had to go in his clothes and then when they were too wet, his nappy! Luckily, we had spare clothes for him! We didn’t need a towel, but if you don’t want your kids to look like crumbed schnitzels you might want to bring one along so they can dry off before they go in the sand! Hmmm… How do we make the tail swish? 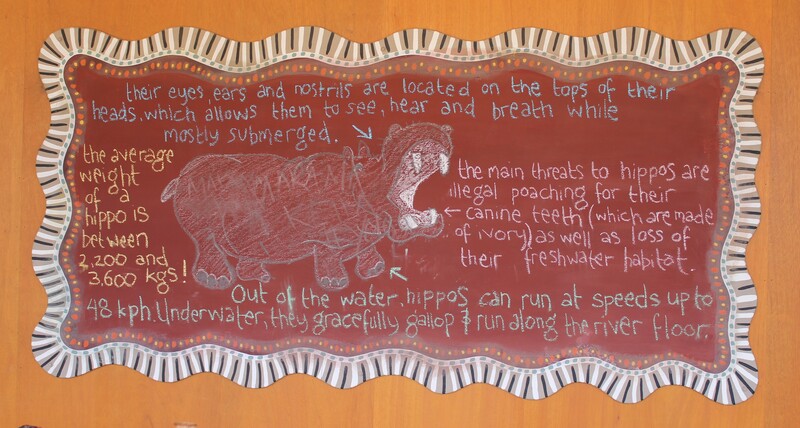 Each day the Keepers will feed the hippos and chat to visitors about their amazing habits, with a special Hippo Keeper Talk at 3.45pm daily. 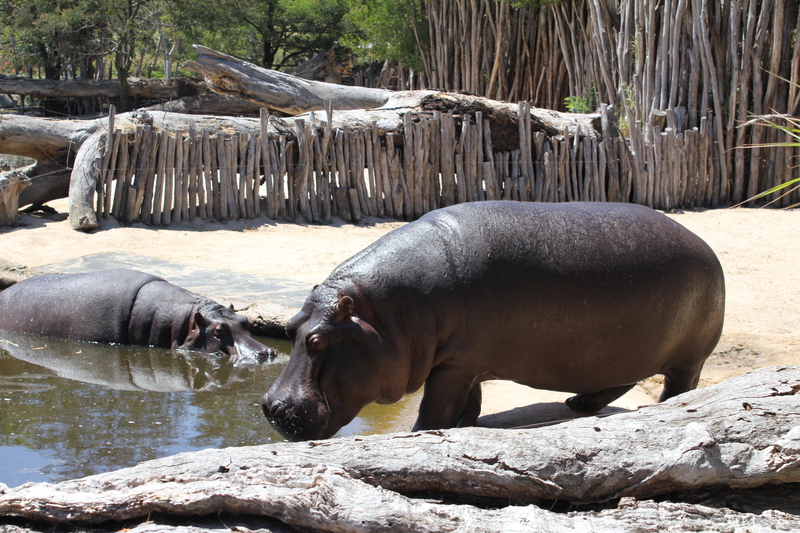 If you would like to see the hippos from a different angle, or any of their other African animal friends out on the Savannah, you can jump on board a Safari tour which leaves from the Safari Station. The line can be long depending on visitor numbers, and you are unable to take any food or drink (except for water) on the safari. 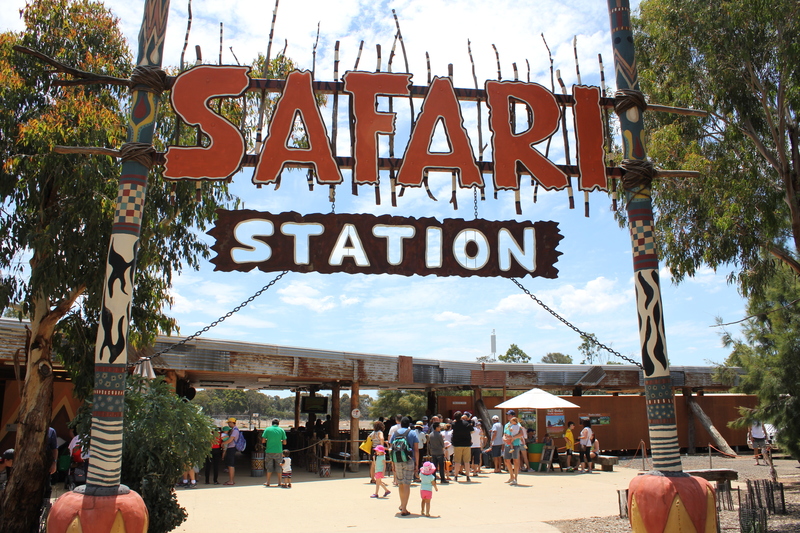 There is a water fountain near the Safari Station entrance where you can fill your water bottles and a pram bay where you need to leave your pram. Make sure you take any valuables with you as it is not supervised. 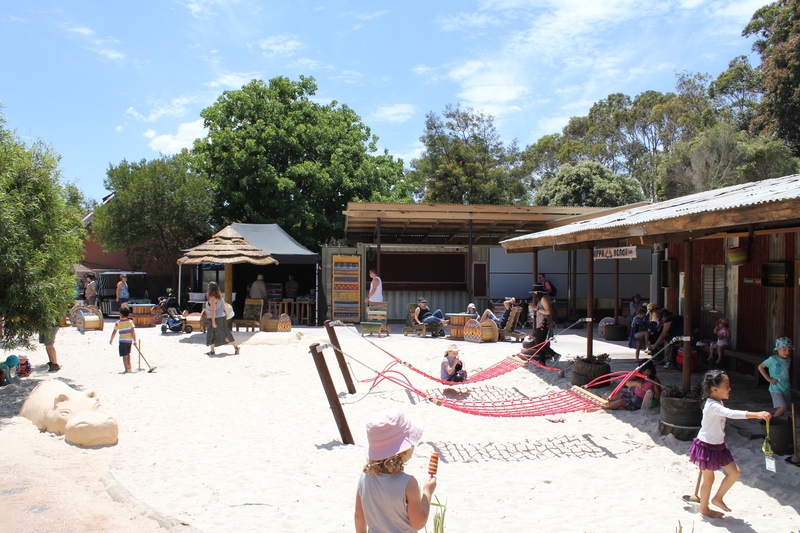 Don’t forget, kids get free entry every weekend, as well as during the Victorian Government school holidays and public holidays! 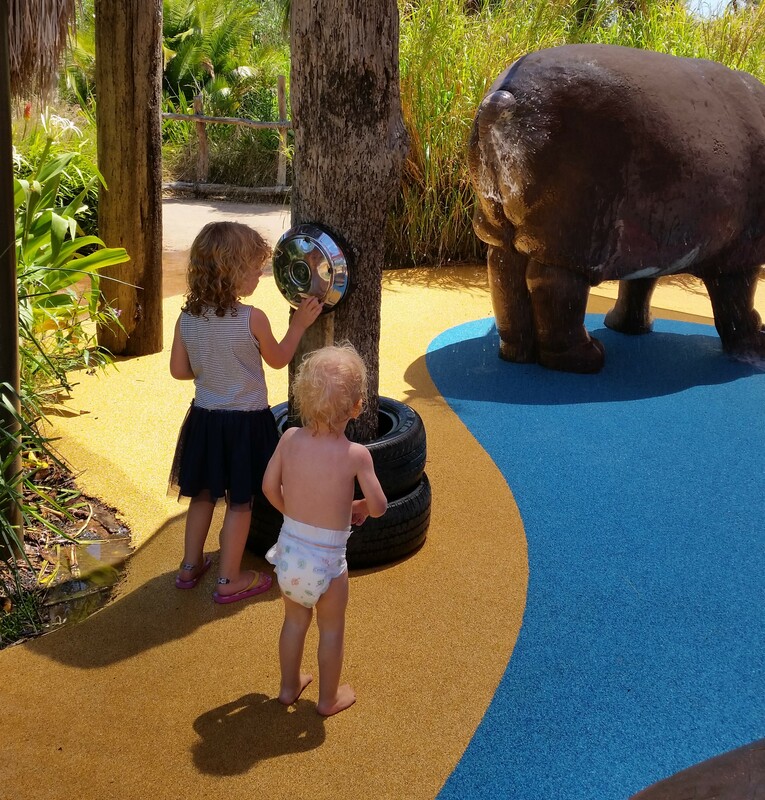 Whether you have a couple of hours to spare or are planning to enjoy the magical Slumber Safari overnight experience – there is just so much on offer at the Werribee Open Range Zoo! We will definitely be returning to experience more of the unique behind-the-scenes encounters and have the Slumber Safari on our wish list! Days and Times: 9:00am to 5:00pm every day of the year. Last entry at 3.30pm. 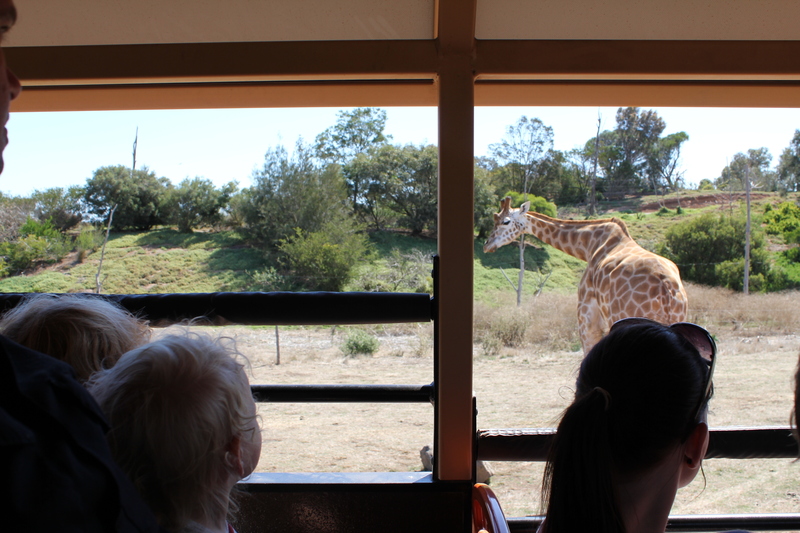 Every time I read something about Werribee Zoo it makes me even more determined to GO! The Beach looks fantastic – thanks for the photos and commentary – 2015 I WILL GO my New Year’s Eve promise to myself!! 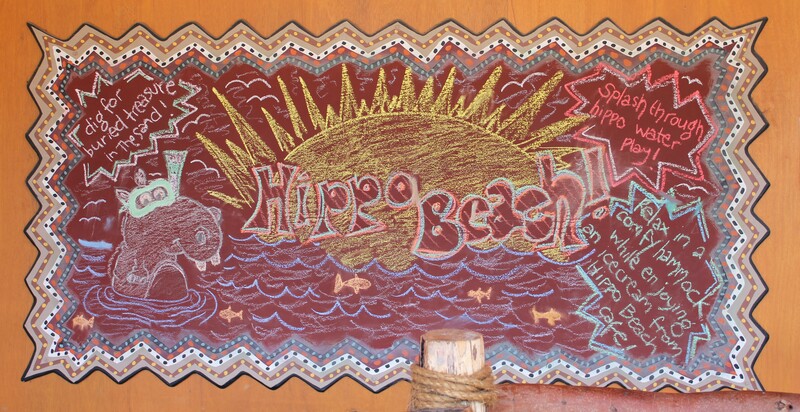 Hippo Beach looks fantastic – we will definitely be taking the kids!